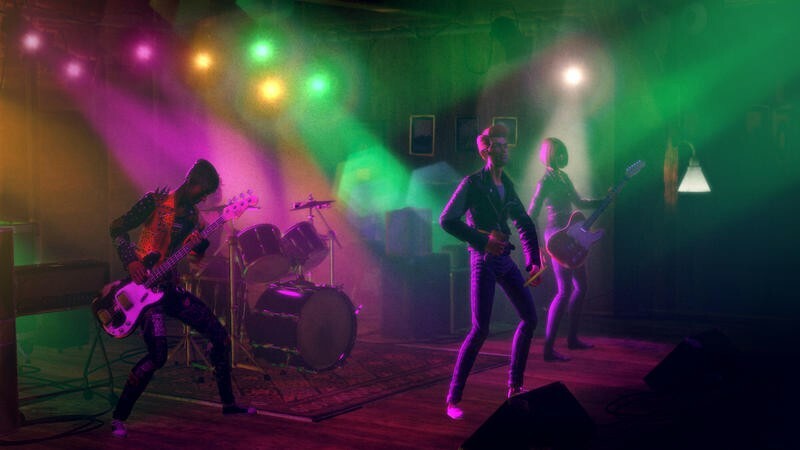 Rock Band 4 is Rock Band. This is something Project Director Greg LoPiccolo said more than once during our preview/interview session during yesterday’s E3 meeting. He was joined by Mad Catz Global PR & Communications Director Alex Verrey. 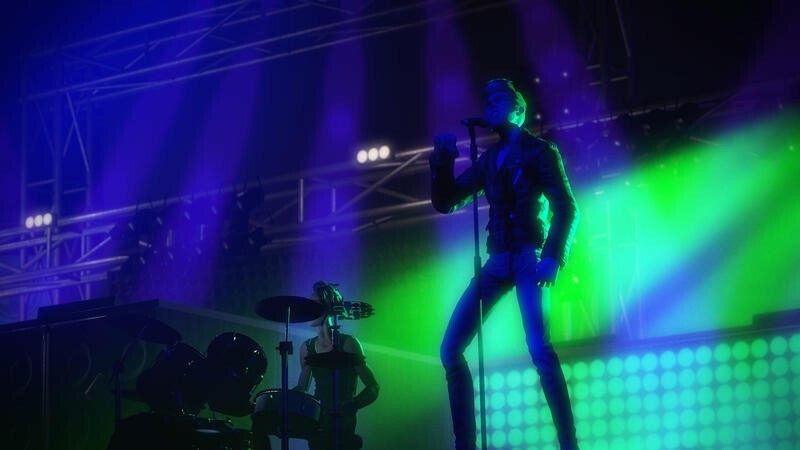 Verrey himself offered several times that Rock Band 4 is all about boiling all the moving parts in the series down to a few singular elements. Chief among them is empowerment. 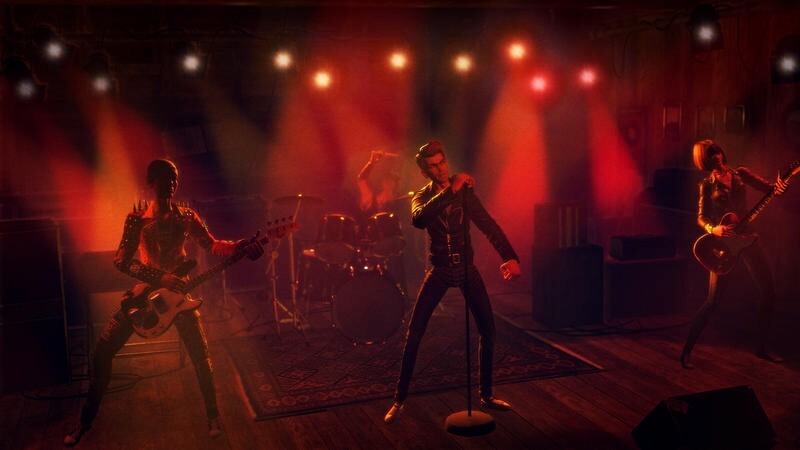 Their language differed during our chat, but both LoPiccolo and Verrey explained that Rock Band 4 is all about giving players the power to feel like rock stars. That’s where the brand new freestyle guitar solos come into play. It’s a really strange and interesting concept, so bare with me here. 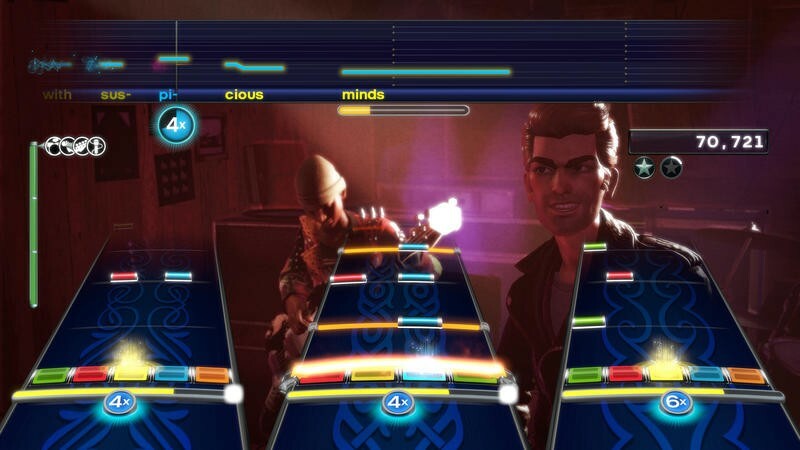 During songs with guitar solos, like Spin Doctors’ “Little Miss Can’t Be Wrong,” the game will switch and task you with playing a guitar solo. 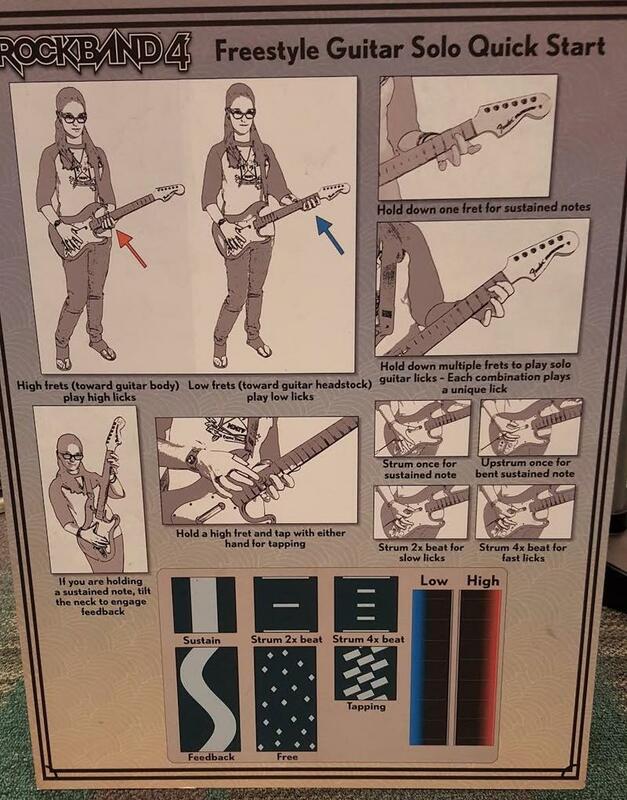 You actually switch between the high and low frets according to the colors displayed on the screen, and you strum and randomly tap and hold frets along with the prompts. I found this exceptionally weird in concept until I tried it. 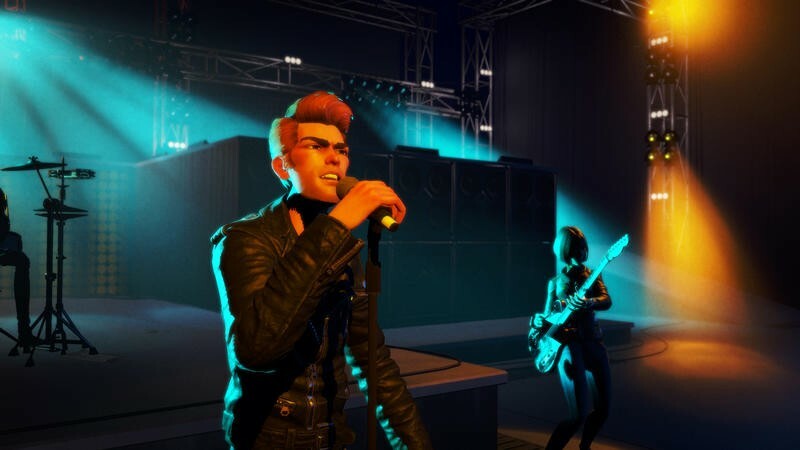 It’s really hard to tell players in a game that’s all about hitting the right notes at the right time to go nuts and be creative, so Harmonix clearly had to find a way to split the difference. Yes, you can go absolutely crazy during these sections and not be able to fail the song. You can press all sorts of buttons and strum like a crazy person, and the magic behind Rock Band 4 will make your solo sound pretty good. Not perfect, but good. If you want to follow the prompts as pictured below? You can. You can form your own solo sound shaped around what’s been suggested, and you can absolutely make these solos sound fantastic. This is really strange for Rock Band. It’s uncharted territory in the music genre, and it’s something LoPiccolo said the team has wanted to do since they worked with Activision on Guitar Hero way back when. The freestyle solo will have its own dedicated mode, too. 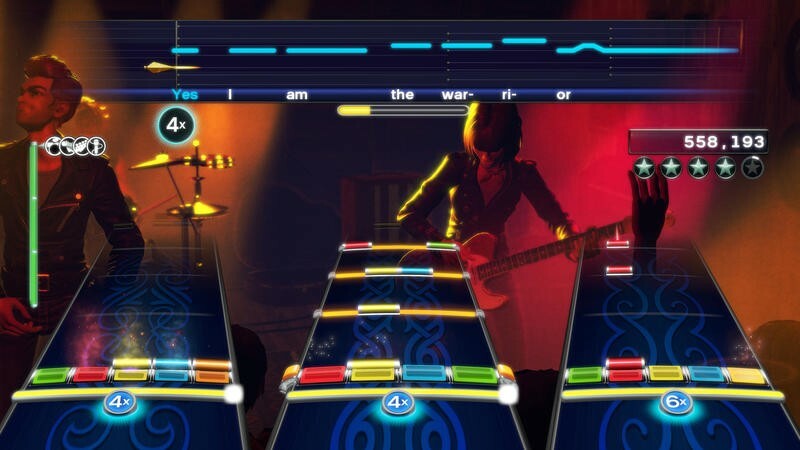 Any song will be completely solo-able in this mode, and that’s pretty neat. In standard play, though, only songs with genuine solos will offer the mechanic. That should be most songs in the game, of course, but not all. That even goes for old songs with solos. They’ll get solo features as well as the team is rebuilding them with this in mind. 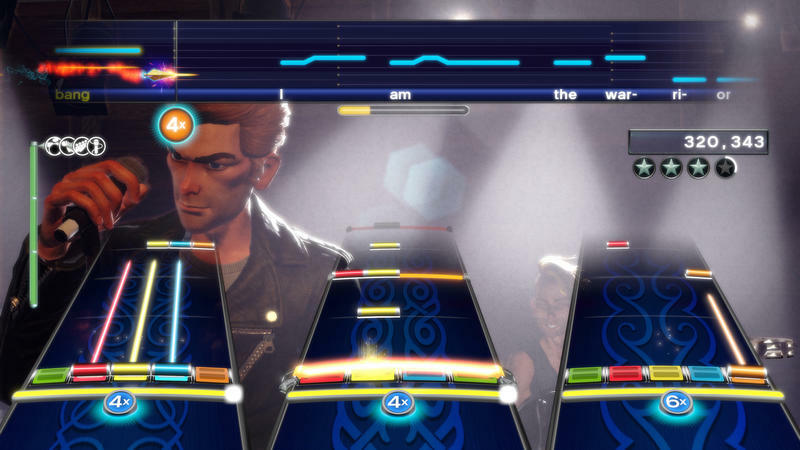 The duo from Harmonix and Mad Catz were touting this as a complete game changer. 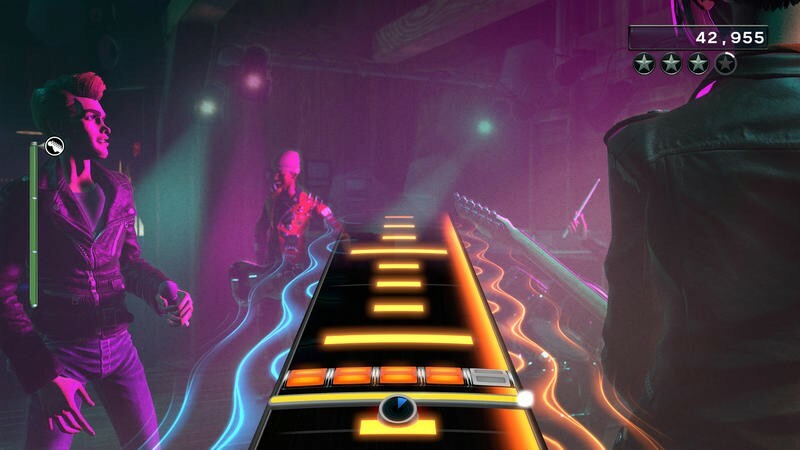 It doesn’t alter the core of Rock Band in a way that will force you to buy new instruments if you don’t want to (wink, nudge, wink, Guitar Hero), but it changes things enough to give vets a new experience. It works, mostly. The one frustration I had here was that it’s tough to transition to strumming and randomly pressing buttons with minor guidance like an idiot back into the highly scripted Rock Band button prompts. That’s being worked on, according to LoPiccolo, but it was an annoyance here in the demo. This whole thing is still early on. 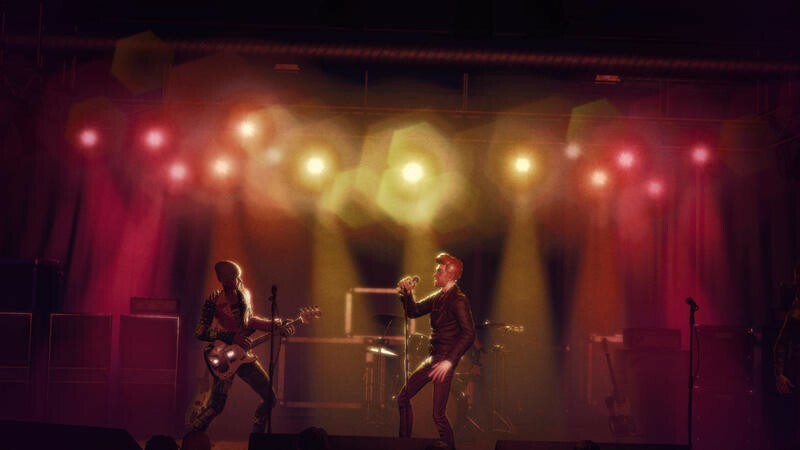 The visual language could change for the solo prompts, and I imagine Harmonix will make the transitions a little smarter. They have a few months to do so. 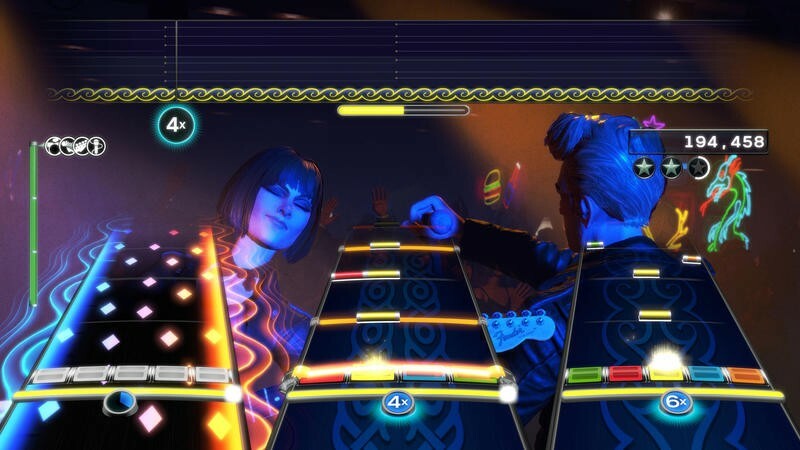 Rock Band 4 ships on October 6, 2015. The game will go standalone for normal retail price, with the guitar for $129 and as a band-in-a-box (guitar, mic, drums, game) for $249. The hardware’s been completely re-done, by the way. We’ve covered this once before, and you can read about that right here.